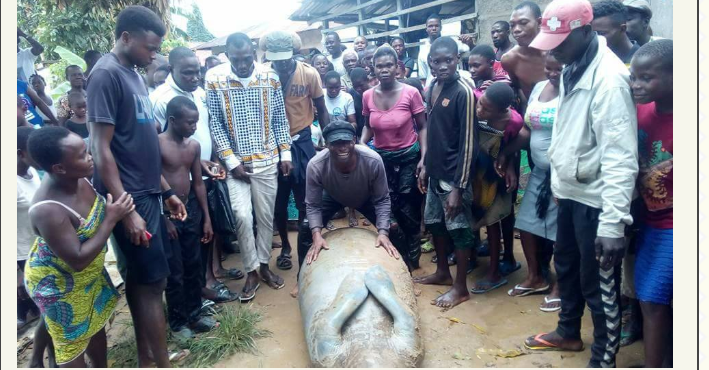 A Manatee was caught and butchered in Bayelsa state by a crowd of residents. According to Francis Oyonvie, the sea cow was found trapped in a vast woven fishing net owned by one Wilfred Okoko, along the Famgbe river, Yenagoa LGA, Bayelsa state. The aquatic animal was killed and reportedly shared as food for all.